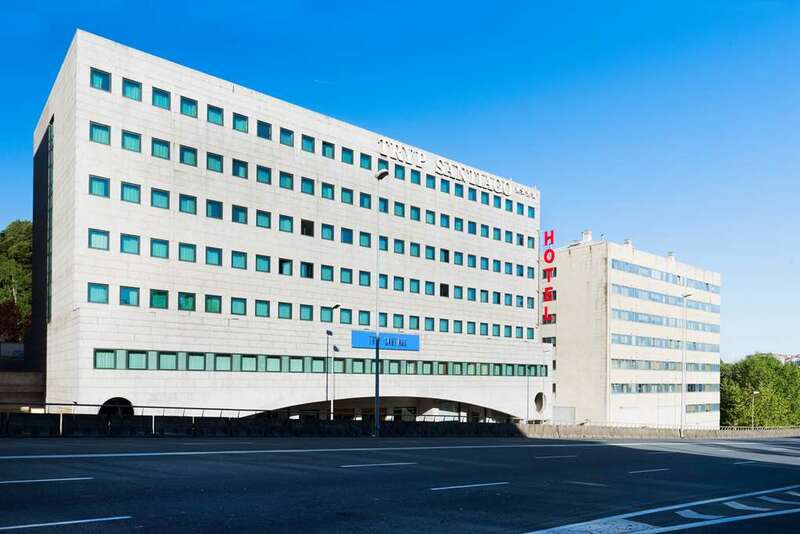 Located in a quiet residential area of Santiago de Compostella, this contemporary and chic hotel offers comfort and convenience to business people and holidaymakers alike. Strategically situated close to the popular department store, the train station, the city centre with the enchanting cathedral and trendy night spots, this elegant property is the best option for staying in and discovering Santiago, thanks to its excellent communication with any part of the city, its modern and complete facilities and the quality of its services. The stylish rooms offer spacious and comfortable shelter in which to totally relax at the end of the day. Travellers may enjoy a daily breakfast buffet and savour typical Galician tapas served at the welcoming bar. The hotel also has 7 meeting rooms and an auditorium as well as an outdoor terrace and parking, making it an optimal choice for all kinds of travellers. Discover all I Santiago De Compostela can offer you!